Training Boomer has been pretty easy so far. He’s usually pretty good about waiting until we let him out of the crate to go potty in the yard, but sometimes he just can’t help himself. I’ll attribute this more to his tiny bladder and less to his blatant refusal to learn. His only accidents so far were largely our fault. Bella was potty trained within a few days of coming home with me, but she was much older so it was easier for her to hold it. He’s mastered sit, stay, and here, so Mike has started working with him on a few other things, because this is the perfect time to start. 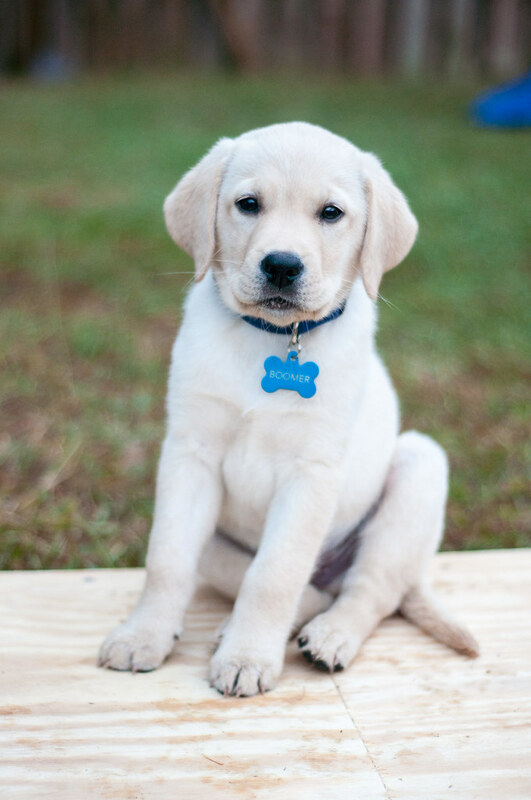 Boomer is equal parts intelligence and adorableness, two great traits in a pup! 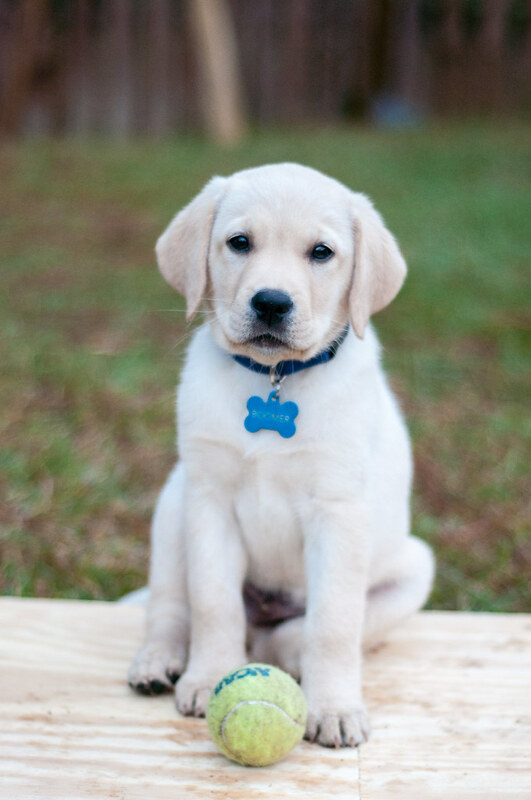 Teaching him sit and stay were fairly easy because Boomer (like most dogs) is food motivated and eager to please. Mike worked with him for a little while each morning before feeding him to make sure his attention span was not shortened by his need to nap. We gave him small treats and lots of affection whenever he did something right, and pretty soon he was sitting after one command. He also sits and waits patiently for his food until we give him the “OK” command. To make sure he knows we’re in charge at feeding time, we pet him a lot, move the bowl around, and take the food away periodically, just to prevent him from developing any food aggression. I’d give Boomer a solid B as far as obedience is concerned, if only because he gets bored very quickly and I still can’t trust him to be in the house unsupervised. He’s steadily improving, though, and we sure do love him. Compulsive snacker. Bleeding heart. Unhealthy obsession with Tom Hanks and cats. Florida State and Syracuse University alum. I'm Anna, this is my blog. Compulsive snacker. Bleeding heart. Unhealthy obsession with @TomHanks and cats. @FloridaState and @SyracuseU alum.